Why pay full-price when you could find the exact same item for a fraction of the cost? 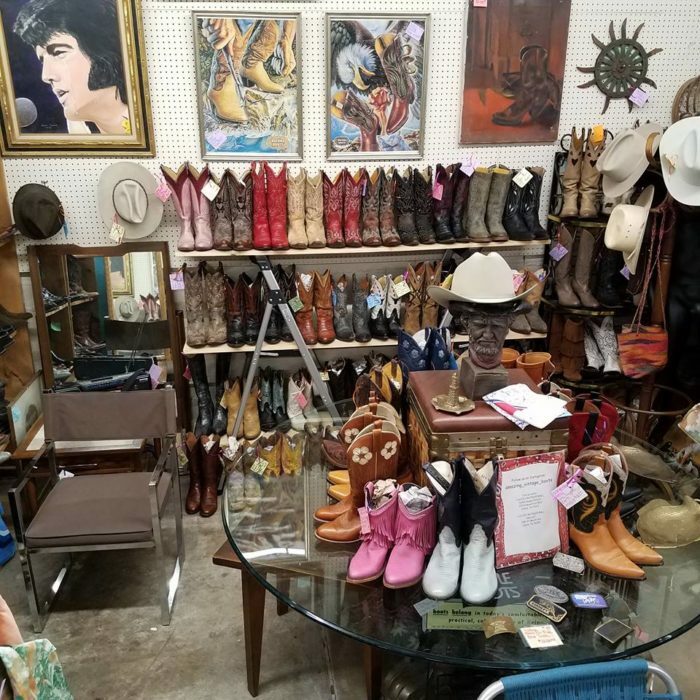 This road trip takes you to ten of the best, most affordable thrift shops in Texas, where you can snag everything from groovy bell-bottoms to Chanel bags. As always, the Google Map with exact directions + addresses can be found here. 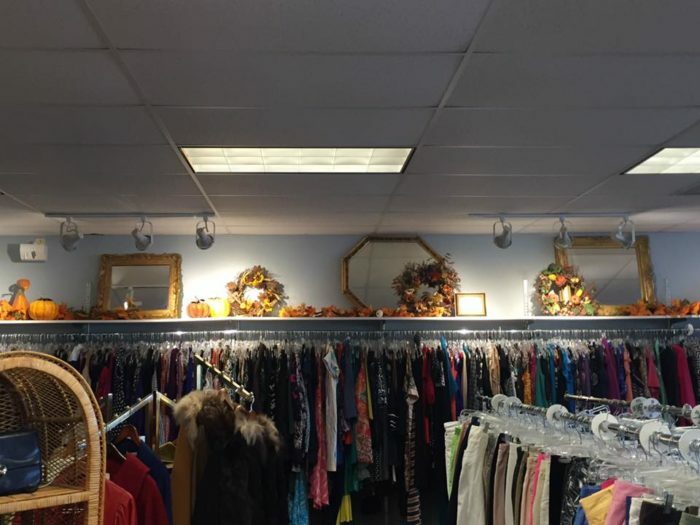 Twice as Nice is a nonprofit organization offering new and gently-used items such as clothing, shoes, jewelry, home decor, books, and so much more. All the merchandise is donated by local residents, so you'll always have a fresh selection of items to choose from. Not only is the inventory top-notch, but 100% of proceeds benefit the Woman to Woman Pregnancy Resource Center. 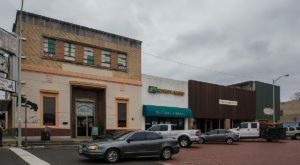 You'll find the store at 413 E Oak St, Denton, TX 76201. 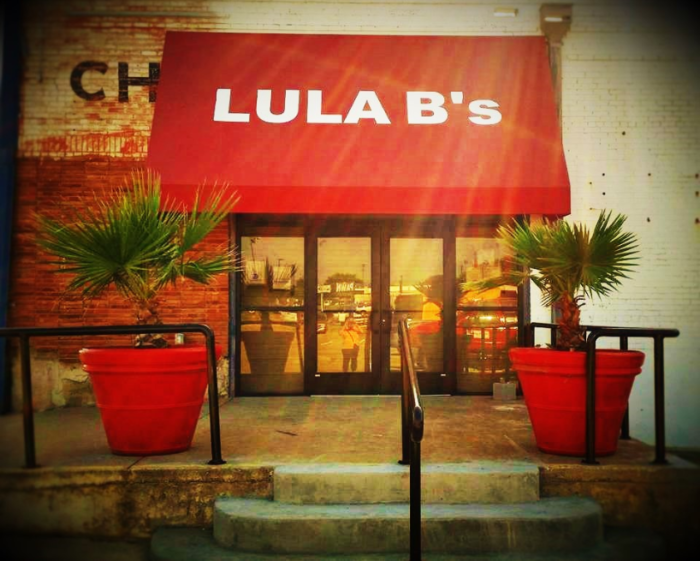 Those in search of rare treasures definitely won't be leaving Lula B's empty-handed. Dozens of merchants rent out booths inside this spacious shop to sell their wares. Vintage toys + appliances, classic records, fine china, and tons more unique finds cover the main floor, and the basement is where you'll find an ocean of stylish, affordable clothing. The store has two locations: 1010 N Riverfront Blvd, Dallas, TX 75207 and 1982 Fort Worth Ave, Dallas, TX 75208. 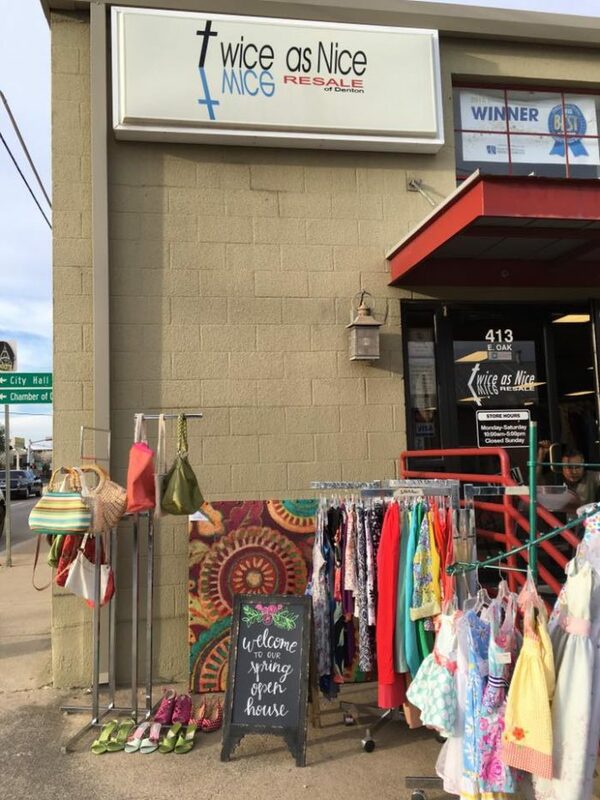 Another nonprofit, this thrift shop donates all of its proceeds to Genesis Women's Shelter. Located in one of the area's most affluent neighborhoods, the store features brands like Chanel at a fraction of the original cost. The selection is ever-changing, so get those diamonds in the rough before they're gone forever! 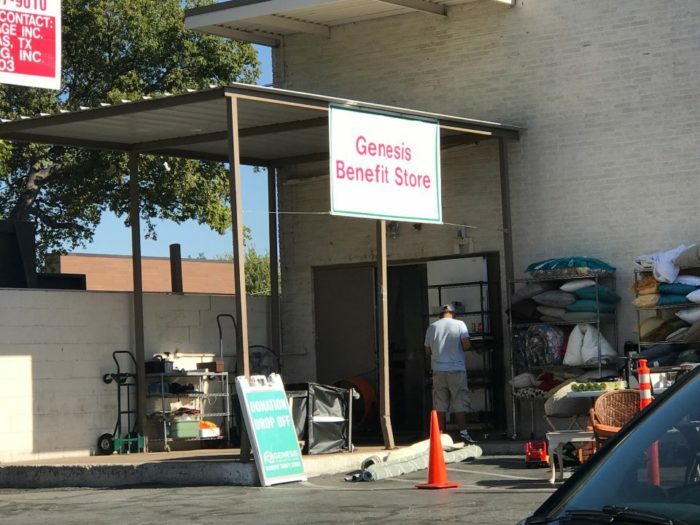 Genesis is located at 3419 Knight St, Dallas, TX 75219. 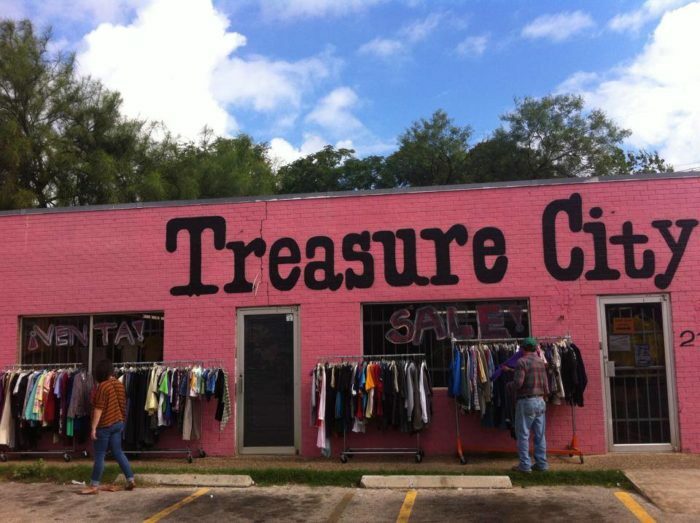 Journey through the past five decades at this unassuming Dallas thrift shop. From groovy bell-bottom jeans to jackets with shoulder pads, fashion trends from every era are ready to be resurrected. There's even an international section with clothing articles like saris and dashikis! Come take a look at 1516 S Westmoreland Rd, Dallas, TX 75211. 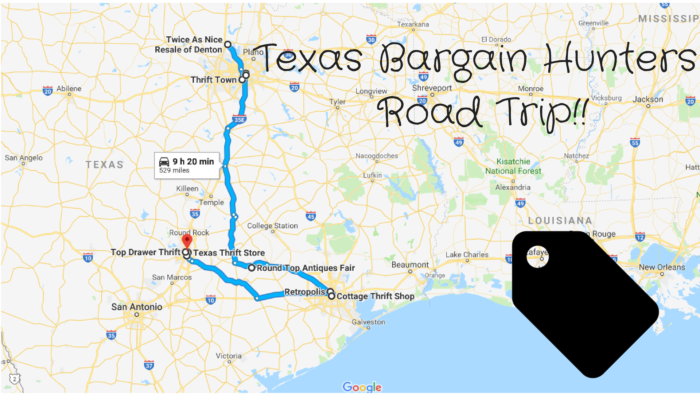 We couldn't put this road trip together in good conscience without including the biggest antiques fair in Texas. 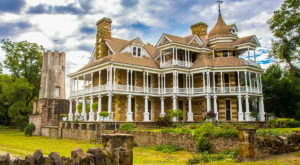 This coming weekend, the tiny town of Round Top (population: 90) will transform into a bustling beehive of antique lovers looking to grow their collections. 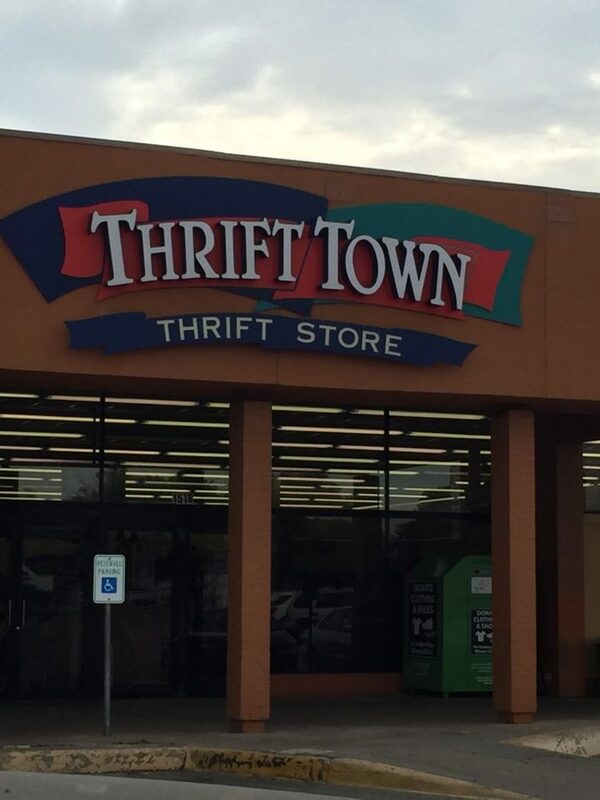 Though not technically a thrift shop, you're bound to find something that won't break the bank. The fair is located at 475 Texas 237, Carmine, TX 78932. 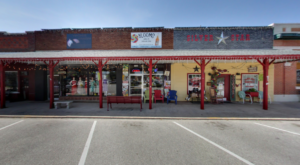 Boasting vintage and modern pieces alike, The Cottage Shop is known for its wide array of clothing. 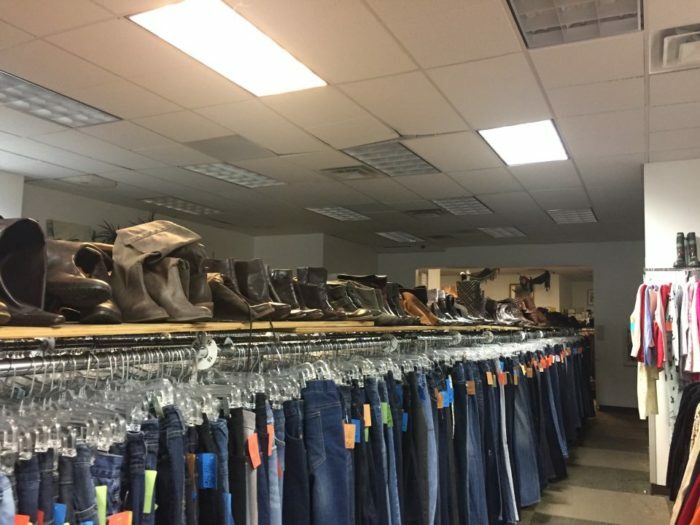 The shoe selection is also worth checking out, with everything from cowboy boots to high heels. Proceeds benefit The Women's Home, a shelter for homeless women suffering from abuse or addiction, so you'll leave feeling rewarded. 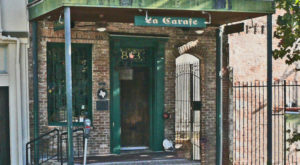 The shop can be found at 811 Westheimer Rd, Houston, TX 77006. 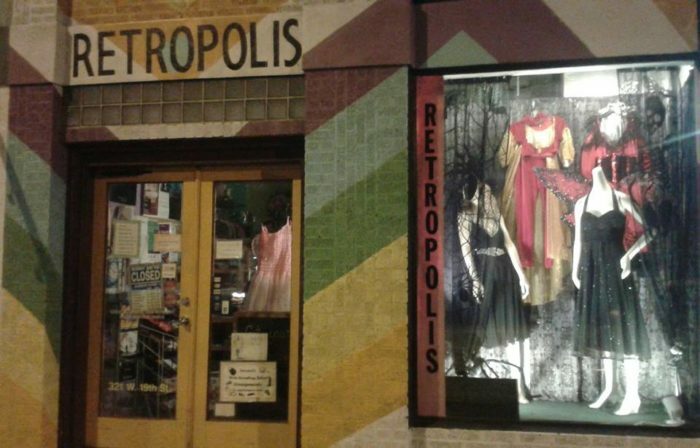 Places like Retropolis are what we love about thrifting. 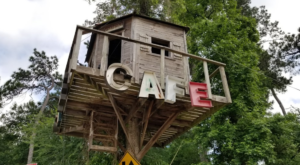 This vibrant, eclectic shop has all sorts of unique finds, from vintage clothing to wall art and everything in between. Pro-tip: the best finds are on the second floor. 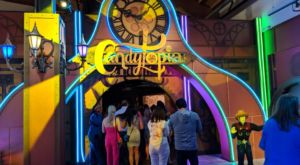 Stop by for a blast from the past at 321 W 19th St, Houston, TX 77008. 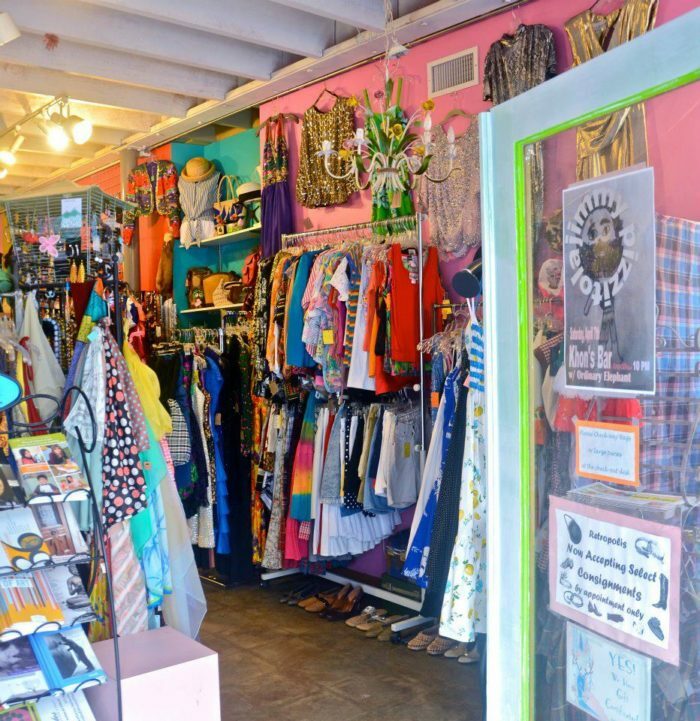 An Austin institution, this long-standing shop has an indie flair that charms all who shop here. 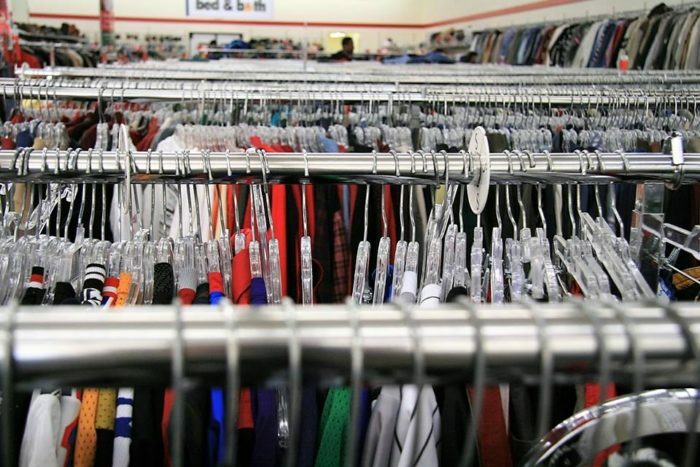 You'll want to visit on a Saturday, when clothing is on sale for just 25 cents per article! You'll also be donating to good causes, as Treasure City partners with organizations like Educators for Change and Yellow Bike Project. You'll find the shop at 2142 E 7th St, Austin, TX 78702. 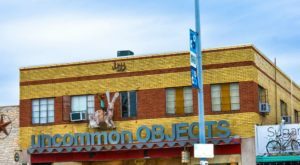 If the giant rooftop dresser doesn't catch your eye, the vast selection of items inside certainly will. 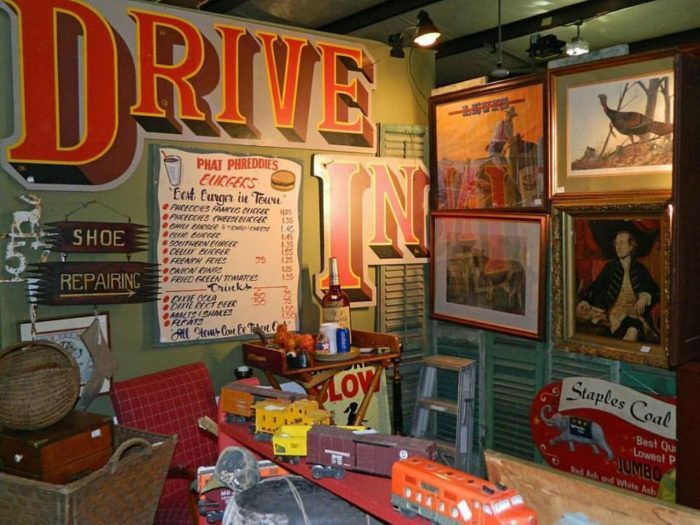 Clothes, shoes, and knick-knacks from bygone eras evoke feelings of nostalgia in all who visit - even if you weren't alive to appreciate the items in their heyday. Even the dressing rooms are quirky, each one sporting a different theme. 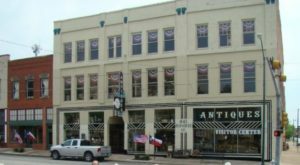 Top Drawer is located at 4902 Burnet Rd, Austin, TX 78756. 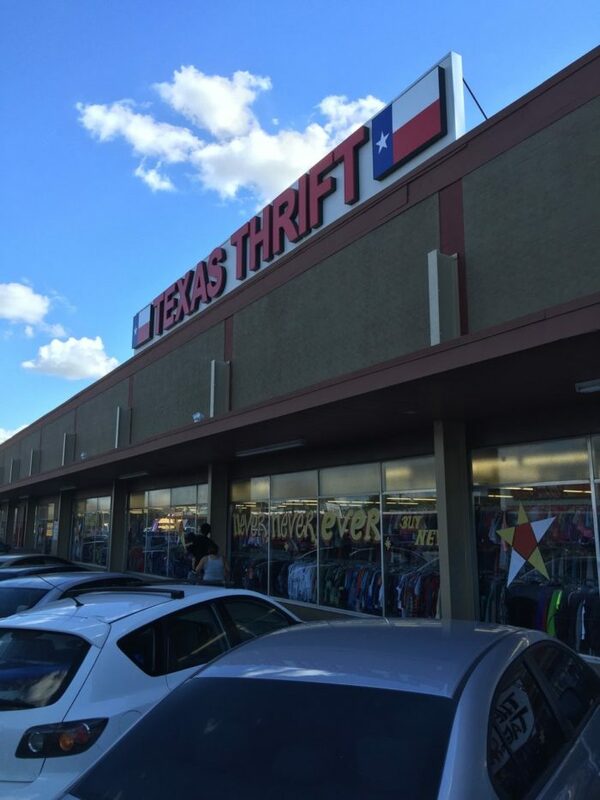 This Texas-sized thrift store is essentially a giant warehouse full of secondhand clothing. 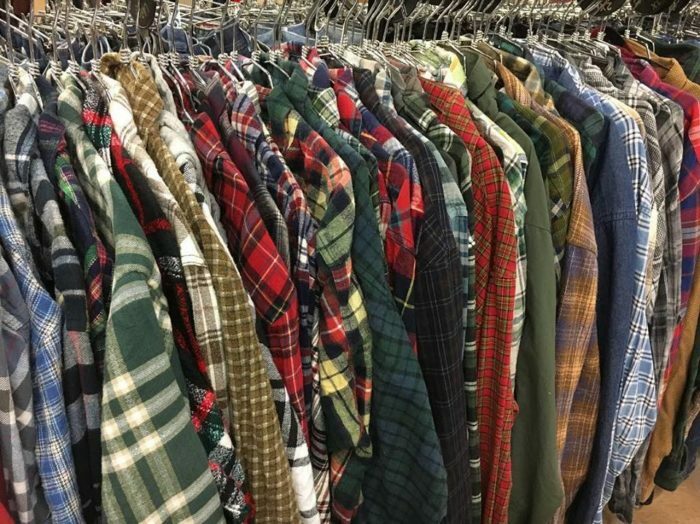 The quality is surprisingly high compared to other shops, and different colored tags throughout the week indicate various discounts. Students also pay a reduced price by showing their school ID! 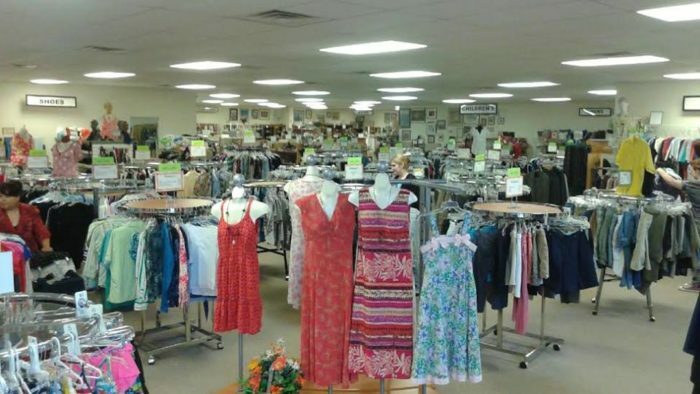 The address for Texas Thrift is 5319 I-35, Austin, TX 78723. 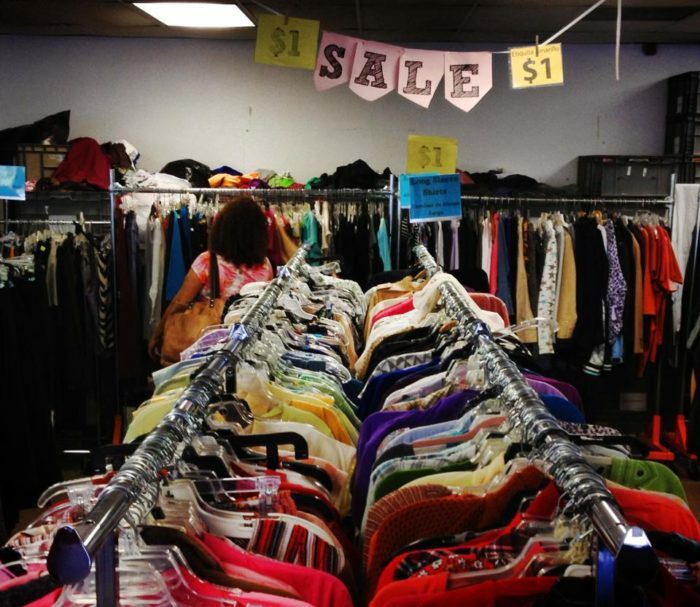 Have you been to any of these thrift shops? What other stores would you add to this trip? Let us know your favorites! 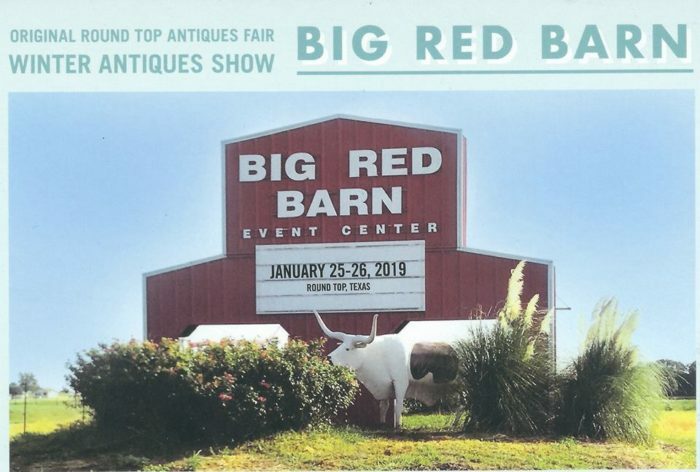 To read more about the Round Top Winter Antique Show, check out Everyone In Texas Should Visit This Amazing Antique Barn At Least Once.